Nate Silver, a New York Times blogger and celebrity numbers wiz, is set to make millions for his spot-on election prediction. Nate Silver, the 34-year-old statistician who developed his own formula for predicting presidential outcomes, bet MSNB morning host Joe Scarborough $2,000 that Barack Obama would win the election on November 6. Both men agreed to donate their winnings to charity. Nate Silver won and is now poised to take in far more than his initial bet, Business Insider reports. Nate Silver, who started his career analyzing baseball players’ performances, earned $700,000 for a two book deal with Penguin after calling the 2008 presidential election, according to the New York Observer. On Election Day Business Insider proposed that Nate Silver could potentially double those earnings in 2012 with more book deals and high-paid speaking gigs if he were to successfully call the election again. 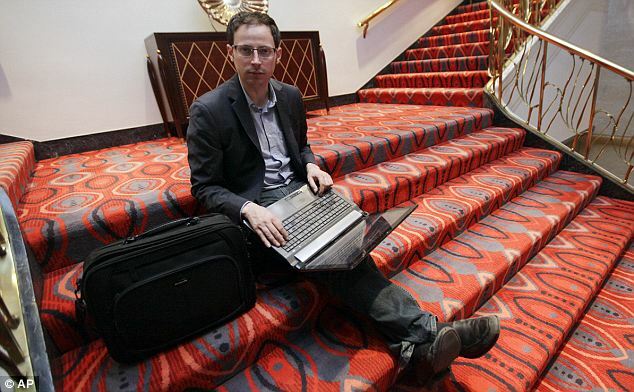 In addition to blogging for the New York Times, Nate Silver is the founder of his own much-read blog FiveThirtyEight.com. Nate Silver was the topic of a Today show segment on Friday after successfully predicting Barack Obama’s win. “He’s becoming a bit of a celebrity,” Today show host Andrea Canning told viewers.